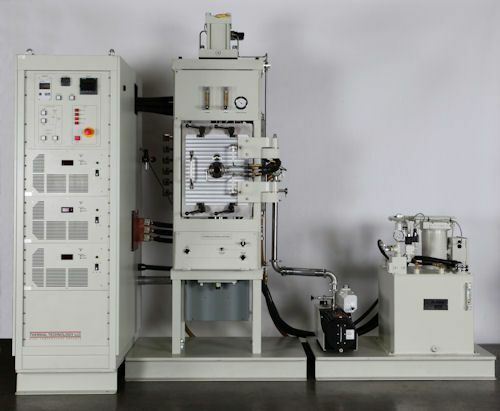 SANTA ROSA, Calif., May 5, 2011 — Thermal Technology, a leading manufacturer of crystal growers as well as vacuum and high temperature furnace systems, recently shipped a Model 10-3 Spark Plasma Sintering (SPS) system to a leading Russian Research Institute. The SPS Model 10-3 provides 10 tons of force and a 3,000 amp power supply. Spark plasma sintering is a high speed powder consolidation technology. Thermal Technology’s SPS systems can process conductive, non-conductive and composite materials to any level of density, including full density, with high homogeneity and especially strong bonds between particles. Thermal Technology’s SPS systems are designed with highly rigid four post press frames, an extra large working chamber and large access doors. The flexible footprint accommodates users’ spatial limitations while the advanced power supply provides unequaled adjustability and heat rates greater than 1500°C per minute. Digital servo valve controlled hydraulics ensure ultra-fine force control while programming and data acquisition are accomplished using an on or off-line PC system.